KATIE: Can't you just google-map it? KATIE: Waffles, that only works in the movies. BAGHERRA (right): Better check for road construction and flying monkey delays or we'll never get there. P.S. In case you're wondering where the Scarecrow is... he's off somewhere with Mrs. King. He would have been here, but he's only got half a brain. Handsome Bagheera spent quite a bit of time laying low at the shelter the first few weeks after he was left at PAWS by his owners. But after a while he got used to the new sounds, smells, feline roommates, and people. When he emerged from his carpeted cubby the shelter volunteers discovered he’s a shy but VERY friendly boy who craves attention, affection and love. Bagheera has such interesting fur with subtle stripes on his legs and a white undercoat. He is just three years old and would be perfect in a quiet loving home with other cats. 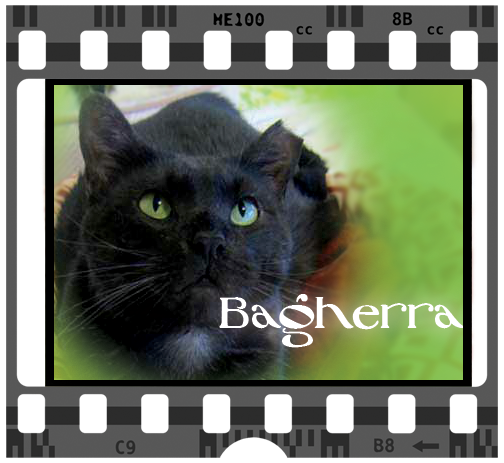 Bagherra is waiting patiently for you at PAWS, Pet Animal Welfare Society in Norwalk, CT. Yesterday was something very special. 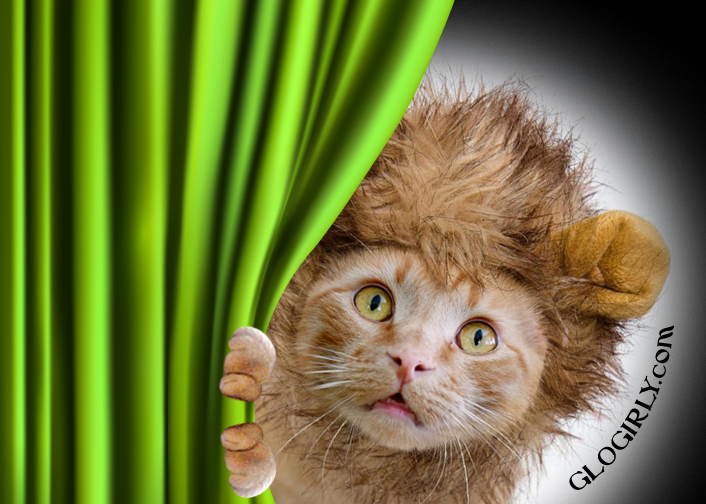 Yesterday was National Feral Cat Day. Katie and Waffles had a very important conversation about feral cats, gratitude and helping others. We shared a fundraiser and giveaway that's very special to us. 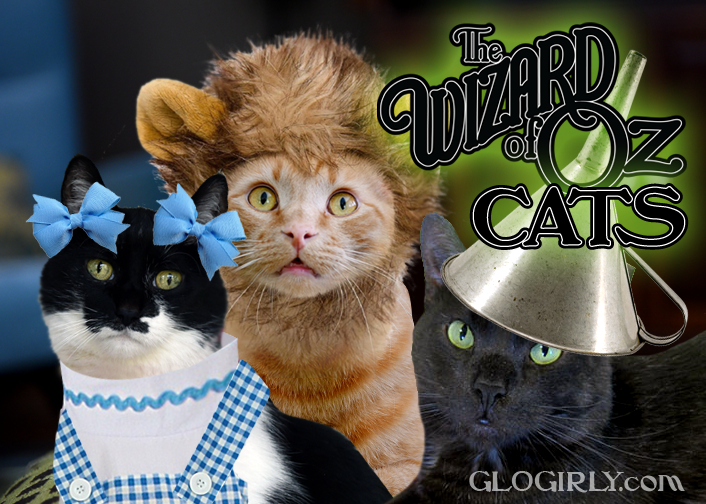 Too bad you aren't in Kansas anymore, Waffles! Bagheera is very handsome! Little bit of trivia: did you know that W.C. Fields was originally cast as the Wizard in the 1939 film? Watch it and imagine him in it instead of Frank Morgan - totally works! There's no place like home, and I sure hope there's a good one in Bagheera's near future. He looks so cute with Waffles and Katie. Thanks, Glogirly! Love the outfits and Bagherra is so handsome! Hope he finds his furrever home very soon. I dont know who has the more amazing costume - Dorothy or the Lion!! Purrs for a forever home for Baghera. That Wizard is a sneaky guy, so I hope you found him okay. PS, Waff--you are totally working those shoes! Thought of you when I was flying this week....I was at the Minneapolis airport TWICE! Did you hear me yell "Hi" out the window? You said half a brain.. I waited for Katie to say that was Waffles! We hope there aren't any sudden tornadoes! Cute posty. Weez purrayin' fur Bagherra a pawsum home. My favorite movie growing up...I LOVE THIS! I hope Bagherra gets his forever home soon. 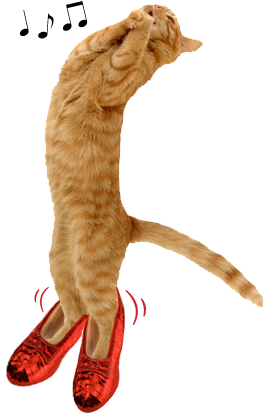 Thank you for the laugh that image of Waffles in the red shoes gave TW. Best of luck Bagherra. Great puppy blog. I just loved that all of puppy's. They are really cute. I truly appreciate this article. Thanks a lot for sharing this cutey pappy's.